To prepare for a future defined by disruptive IT solutions, organizations must focus on people, data and technologies. Consumer demands haven’t changed much: People still watch movies at home, look up information on obscure topics and need rides around town. But the companies that identified early on how technology would change these industries (Netflix, Uber and Google, among others) are now dominating these sectors. Communication and collaboration tools offer a prime example of how IT investments don’t always translate into business improvements. Here’s a familiar scenario: Two users in different offices set up a voice meeting via a collaboration tool. When the time comes for the call, one of the participants realizes he doesn’t have a necessary plug-in installed on his computer. He checks his email, but can’t find the dial-in number, and so he shoots a message to the call organizer, who has been listening to hold music for five minutes. Then, after they finally connect, the organizer speaks three or four sentences before realizing the line is muted. In this scenario, the participants would have been better off simply picking up an analog phone and getting down to business. 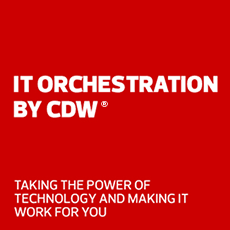 In fact, says Nathan Coutinho, director of digital workspace solutions for CDW, the analog phone is a gold standard to which organizations should aspire, at least in terms of simplicity. Organizations should take advantage of new technologies that provide users with advanced features and options. But, he argues, each of these technologies should be as simple and reliable as picking up the phone. That value, Schrage says, is often the result of a “virtuous cycle” — the way organizations create data through customer interactions and other processes, then use that data to inform and improve their operations, then collect new and better data from those improved processes, and on and on. For example, Facebook collects and analyzes data from its hundreds of millions of users and then uses that data to fine-tune its user experience. Similarly, Uber collects data on its riders and then uses that data to attract and retain riders, which has led to its explosive growth. Amazon would be worth only a fraction of its current value if its business model were limited to selling items online and then shipping them to customers. Instead, the retailer tracks purchases and product searches, and then uses the resulting data to promote certain products, make recommendations and optimize pricing. The more systems that rely on these processes, the more important API alignment becomes. “Increasingly, one of the economic and financial variables you will be asked is, ‘How do we assess return on API?’” he says. visit our page on how to empower your workforce.